I’m all about making the most out of a trip. Typically, my time is limited so packing it full is a quest for me. When I visited Las Vegas I took the opportunity to do just that. 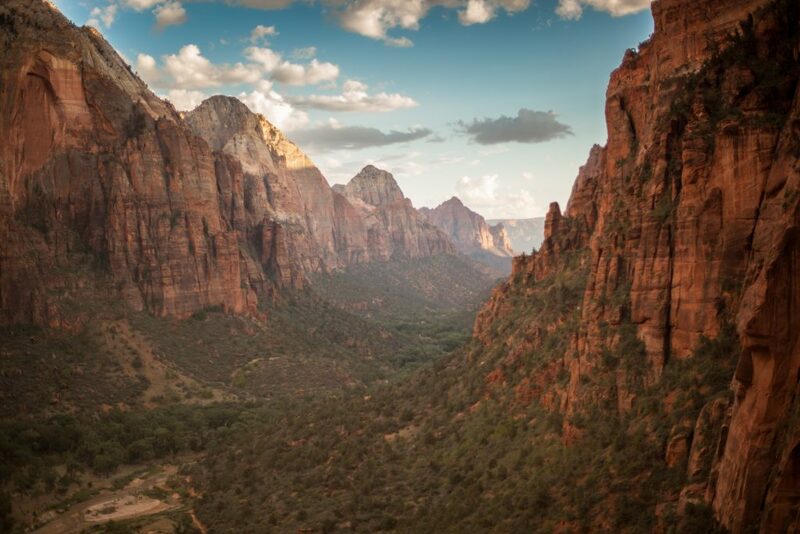 Not only can you have fun in Vegas, but Vegas is close to a few National Parks too. Perfect for the outdoorsy traveler at heart. 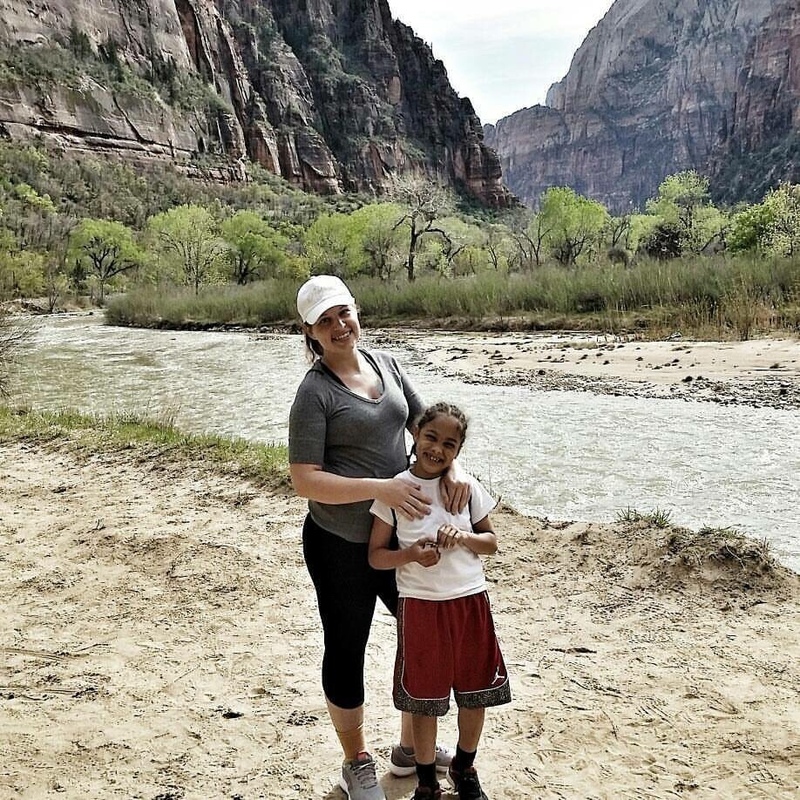 I took a day and dedicated it to Zion National Park and I’m sharing with you why you should do the same. For me, 3 hours and under is a short drive. It can be done in a day and wouldn’t make me too tired to have a good time. 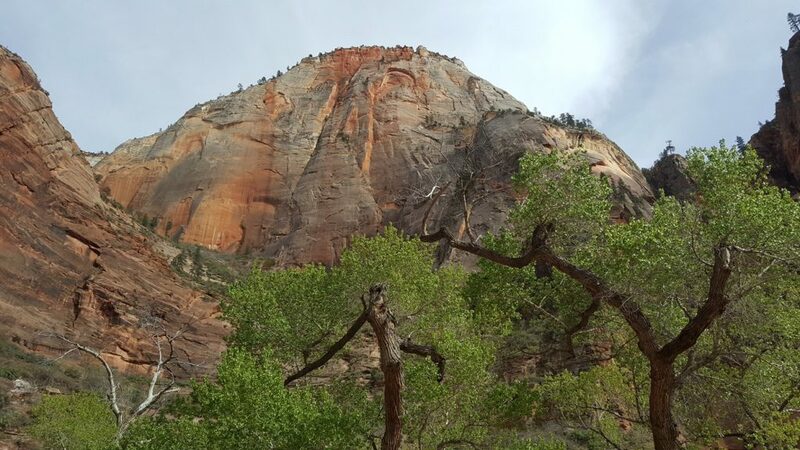 Zion National Park is about a 2-2.5 hour drive from Las Vegas, perfect for a day trip! To make the most out of your day, leave really early so you can indulge in more of the park than you would be able to do otherwise. When I visited, we left later in the morning and I now wish we would have been up before sunrise to make it there right when the park opens. Getting there before 9 A.M is ideal. Otherwise you may run into a lot of traffic and other visitors. On the way there or back, if you’re feeling like stepping out of the norm, there is a ghost town not too far off the path. 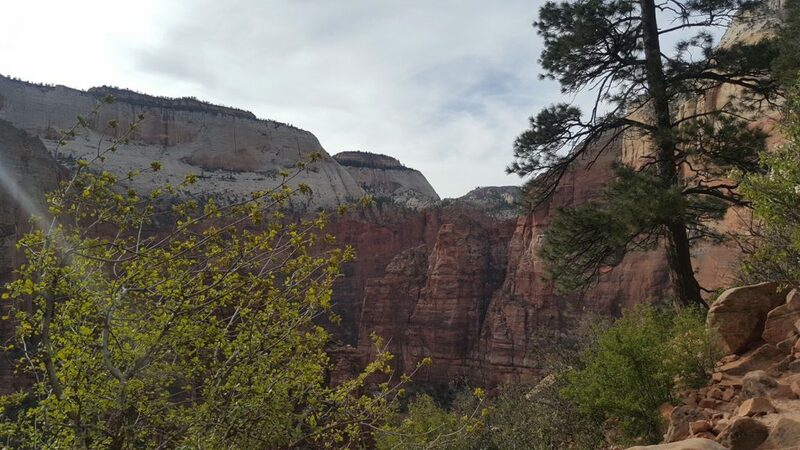 I’ve also heard that in the area you can access Smithsonian Butte Byway, a dirt road that leads to an amazing view of Zion. 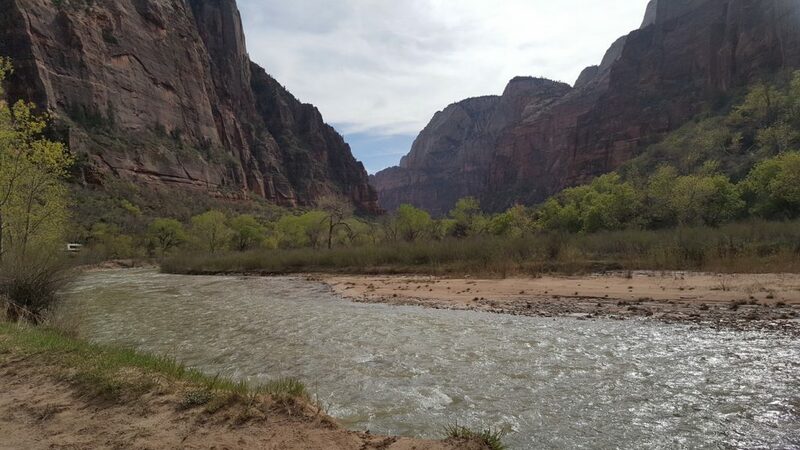 Zion National Park is an amazing park to visit. 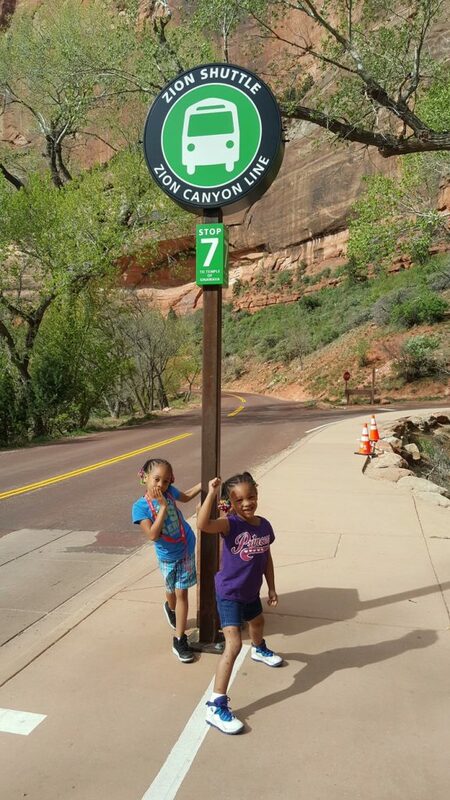 They have several hiking trails from easy to challenging. When I visited, I was with my friend (who isn’t a hiker at all. See THIS post to read about that), her children and my son. I sprained my ankle a few days before, so we needed a trail that was easy for all of the above reasons. Before we traveled, I researched the trails and knew which one I wanted to do. This was prior to spraining my ankle, but with that now in the mix, we had to choose something that I could bear. I found that no matter which trail you go on, you’re going to have an amazing view. I wanted to make my way to the lookout in the image below, isn’t it amazing? This was literally the only reason I wanted to visit, for this specific view. You can easily spend a day just hiking. 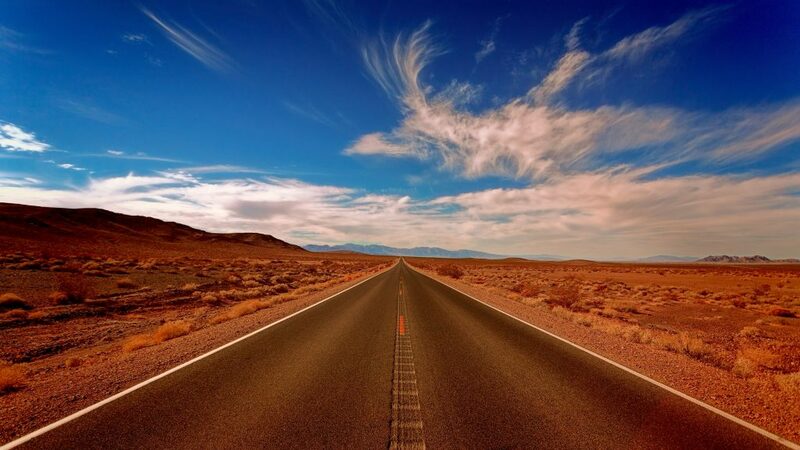 It isn’t uncommon for some of these trails to range 8 hours round-trip. 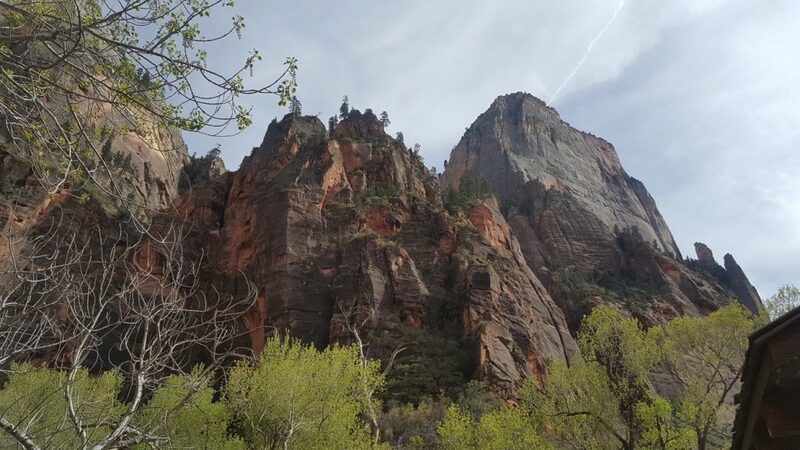 We, however, spent about 1.5 hours hiking on Weeping Rock Trail. It was about half a mile, but on incline. No one left too tired and I even managed with my ankle. For the most part, we had a smooth hike. 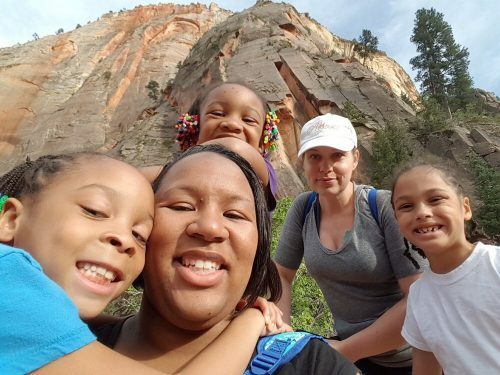 Hiking isn’t the only thing you can do at Zion National Park. You can totally spend the day climbing, horseback riding, backpacking, bird watching, just to name a few. However, note that you may need a permit to do some of these activities. Keeping that in mind can make the flow of the day better if you’re spending a whole day here. There is also a visitor’s center. The visitor’s center closes between 6 PM and 7 PM, depending on the time of year. If you plan to get there in the morning, ending the day at the visitor’s center would be a great idea. 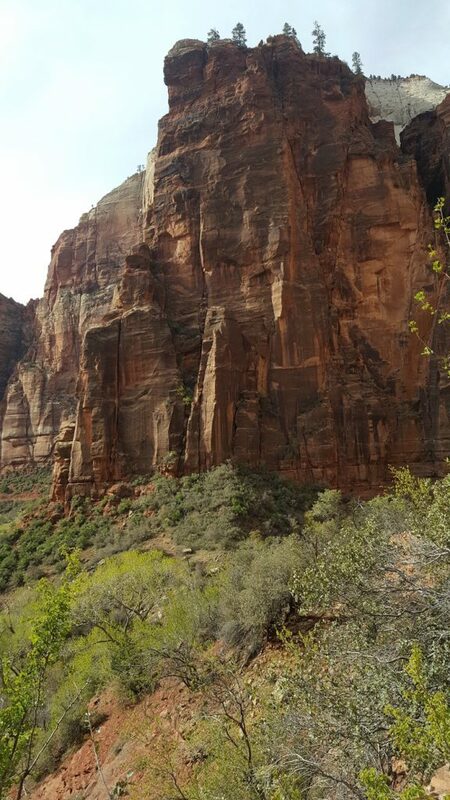 One of the things that allowed us to experience more of the park in a day is that Zion has a shuttle system. We parked on the street near one of the shuttle stops just before entering Zion National Park in Springdale. 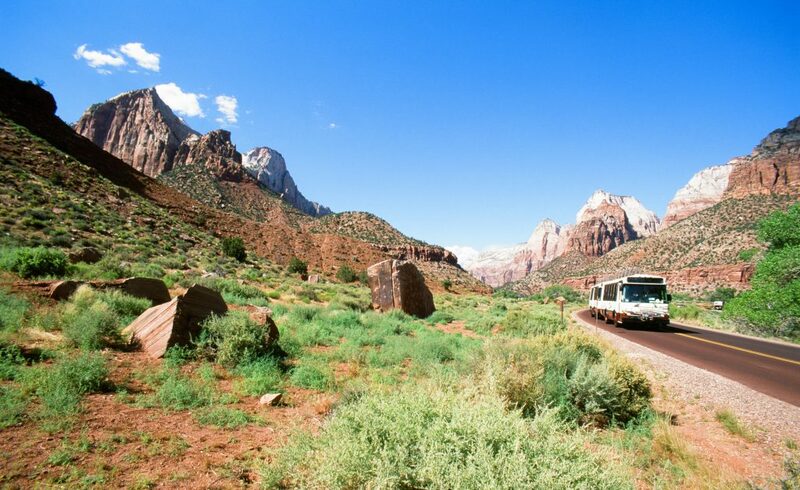 The Springdale Shuttle will take you to the entrance of the park where you can hop on one of Zion National Park’s shuttles. These shuttles will take you through the entire park with several stops along the way. If for some reason you didn’t want to get out and experience the park, you really don’t have to. It’s a norm for patrons of the park to ride the shuttle through the park and that’s it. It takes about 80 minutes round trip. The shuttle will stop at the beginning of most of the trails, and from what I noticed there were bathrooms at the stops as well (at least for the stops that we saw). On the shuttle, we had a great driver. During the drive, he gave us a short history lesson of the land, and I imagine if we stayed in throughout the whole shuttle ride that we would have been experts at the end. I would highly recommend bringing water and a snack while you’re here. For the kids, have them carry a small bag so that they can carry their own water and snacks. Carrying several bottles of water can get heavy for one person. We passed several restaurants in Springdale. However, with Las Vegas only being a couple hours away, we decided to head back there and eat before it got too late. There is so much to do when visiting Vegas, we often forget that there is more to explore than what we typically hear about. Setting a day to just explore the outdoors is totally doable. You can have an enjoyable, relaxing day in nature before heading back to the city of lights. If you’re looking to make a National Park the focus of your vacation, there are lots of parks out West that are perfect for a driving tour. Be sure to check out Alamo Rent A Car’s Scenic Route for tips and inspiration on the best ways to explore the great outdoors. Check out some personal photos below from our visit!